I use lemons on a daily basis, so, it's one ingredient that I want to have available. I know this sounds a little excessive, but when I travel I even take one or two lemons in my suitcase. But, when I have lemons in abundance, my first thought is to make an old family favourite, the most Delicious Lemon Pudding. Lemon Delicious Pudding or Lemon Cheese Pudding recipe can be found in various editions of The Edmonds Cookbook. At our local organic fruit and veggie shop they have three varieties of lemons for sale. This has prompted me to investigate if there is any real difference in the varieties. I bought one of each; Villa Franca, Ben Yen and Meyer. Ceres Fresh Market, in the Ponsonby Central Market, sources organic produce whenever they can. If you don't have access to free lemons and you are using the zest you need to make sure they are not waxed. I know these lemons would be wax free. 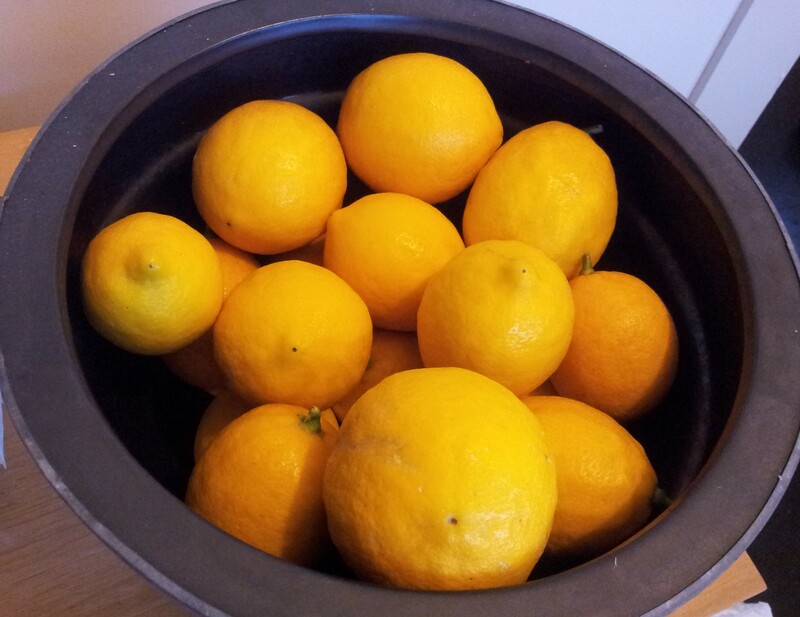 When I got home I discovered a box of large, juicy, Hawkes Bay Meyer lemons sent to me by my sister-in-law Monica. 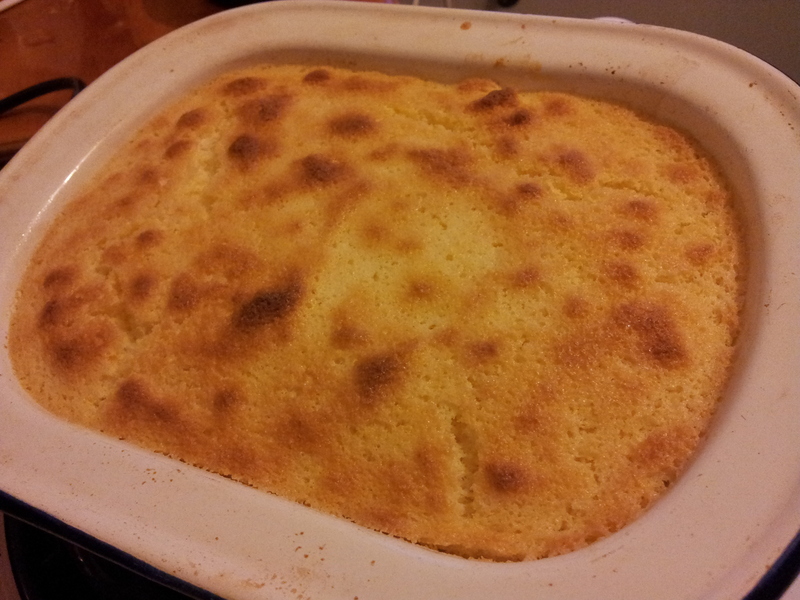 Time for a Delicious Lemon Pudding. This pudding is simple to make and as the title suggests is deliciously 'lemony' with a light soufflé top and a thick lemony sauce underneath. This sauce is probably why in an edition of The Edmonds Cookbook the same recipe is called Lemon Cheese pudding. In July when visiting my sister Kerry in Dunedin (with my travelling lemons) I used the recipe that she got from Mum. I increased the lemon and decreased the sugar. 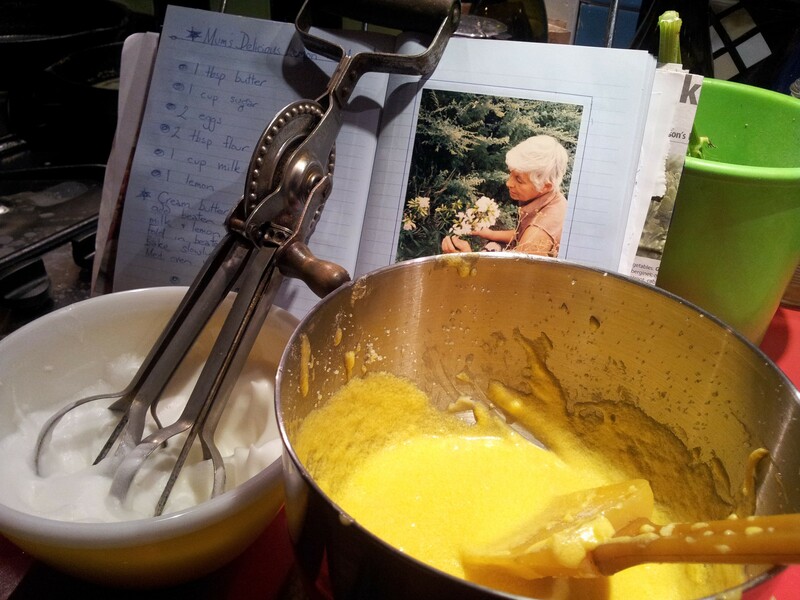 Kerry's special recipe book on the Lemon pudding page features a photo of Mum in her garden. 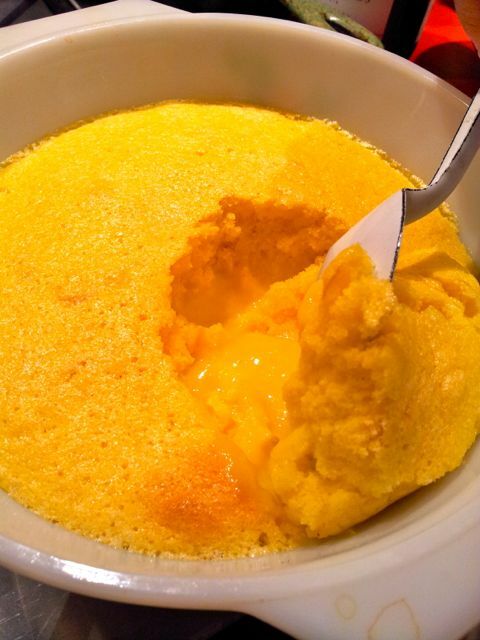 Kerry's healthy homegrown eggs make the lemon pudding very yellow. This mix has yet to have the milk so its a little thick. The pudding has two parts in the preparation - the thin lemon sauce and beaten egg whites to be folded through the mix to give the soufflé lightness. Cream butter and sugar. I have found that caster sugar combines easier than standard white sugar as the butter to sugar ratio is quite low. Use either one or two lemons - I used about 1/3 cup of juice and zest from 1 lemon using a zester and then finely chopping. A zest grater would do the job in one action. Add the flour, then the lemon zest and juice followed by the 1 cup of milk. This will make the mix very watery. Next separate the egg yolks from the egg whites. Add the beaten egg yolks to the sauce. 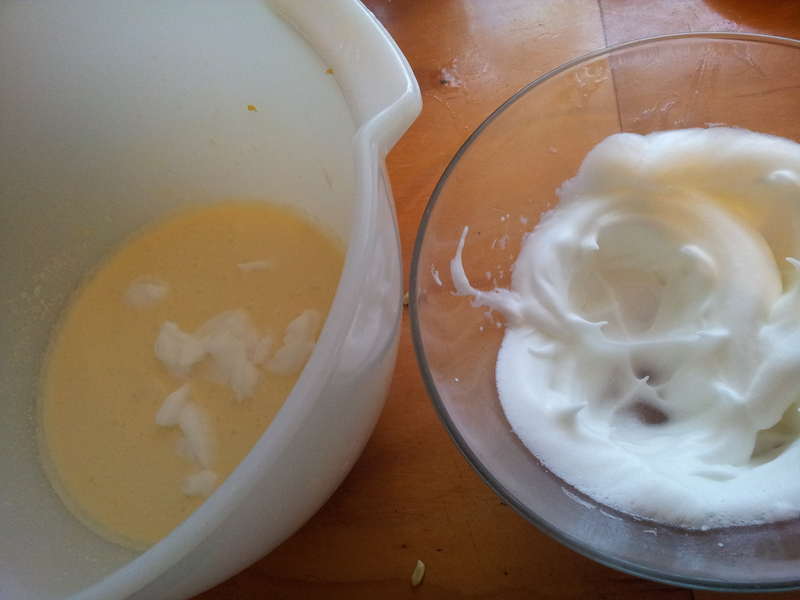 When folding in egg white I first add just one spoonful of egg white to the mix you are folding the egg white into. Then add the rest of the egg white. This little bit of added air upfront lightens the mix and makes the remaining egg white easier to combine. Next, fold in the egg white gently. As the sauce is the consistency is as thin as pouring cream rather than custard it can take a little time to fully combine. Keep a folding action going rather than stirring to ensure not too much air is lost from the egg whites. The pudding fits perfectly into a 600ml (just over 1 pint) capacity tin pie dish. The dish is 24 cm long. 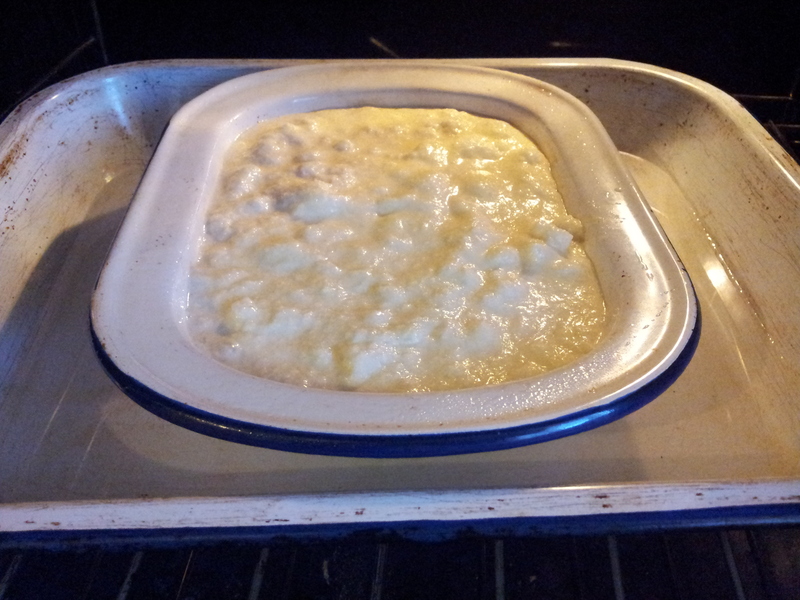 Pour into a greased dish and bake slowly inside a larger container that has water a couple of cm high. This water bath keeps the cooking even and avoids the pudding drying out. Cook for up to 40 minutes at 160C until set. Avoid overcooking or it will dry out. This pudding I caught just in time. Ideally it should just be an overall golden colour on top as the one below. This will serve four, so when I make it for a larger gathering I just double the mix and it works just as well. 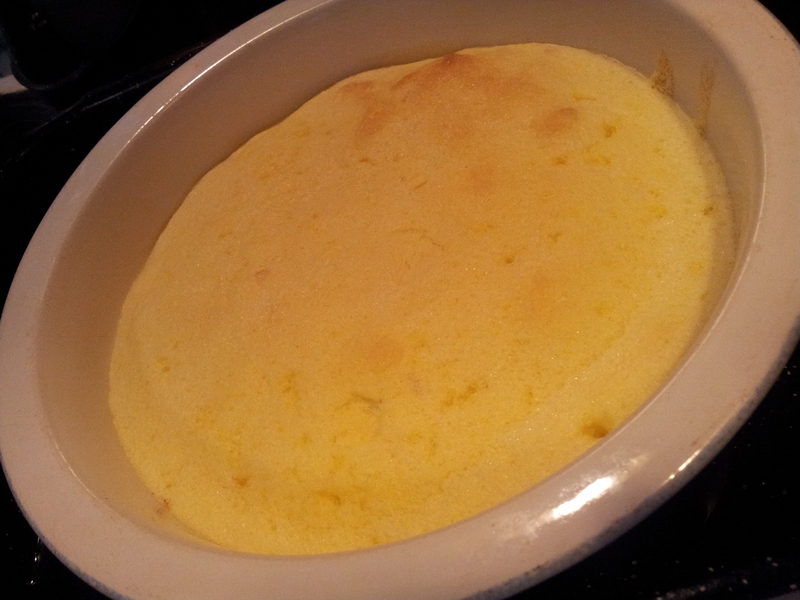 This is a pudding I made for a larger family gathering using 4 eggs and 3-4 lemons. Serve simply with a dollop of yoghurt or whipped cream. There are many varieties of lemons with different qualities and uses. Following are three of the popular varieties grown in New Zealand. 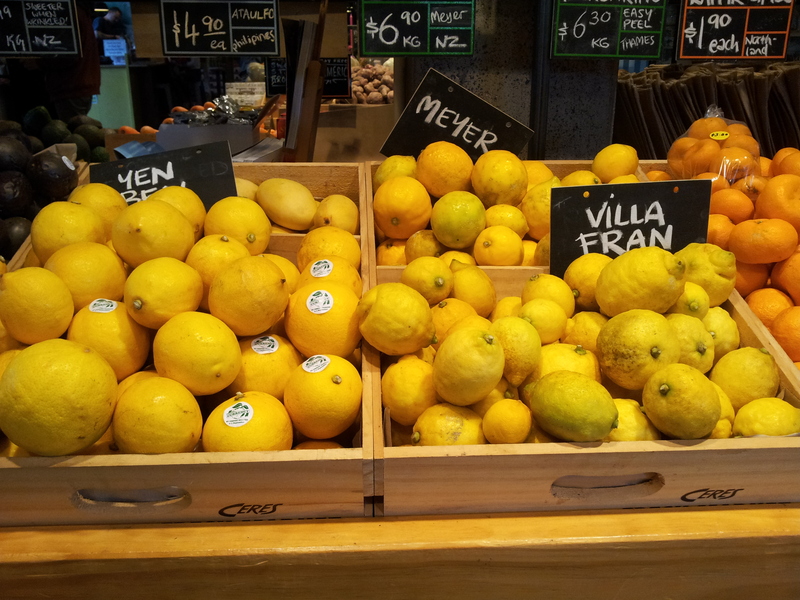 Meyer lemon Citrus × meyeri wins the title of New Zealand's most popular lemon and features in many kiwi backyards. The fruit is the sweetest and juiciest. The Meyer strictly speaking is not a true lemon. 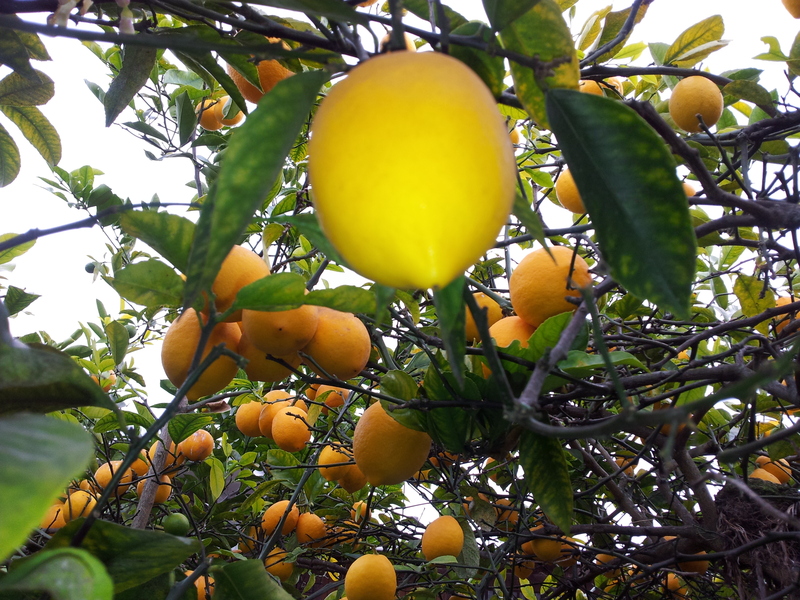 The tree originated from China and the lower acidity and juiciness has occurred because of a natural crossbreeding between the lemon and a mandarin. In 1908 agricultural explorer Frank Meyer introduced this lemon to the US. In China this tree was primarily grown for decoration in pots. Meyer's reward was to have the tree named after him. It's the variety most commonly grown in southern areas in micro-climate spots because it is the hardiest of all the lemon varieties. The Meyer has a soft skin and is the largest of the lemons. Sometimes they can almost look rounded and could be confused with a pale orange. It is not the best lemon for zest and a real punchy lemon juice. That soft skin means you need to take great care not to bruise and damage the fruit and for this reason other varieties are often preferred by growers for export because their tougher skin gives them greater keeping qualities. Villa Franca can be identified by its nobly appearance. 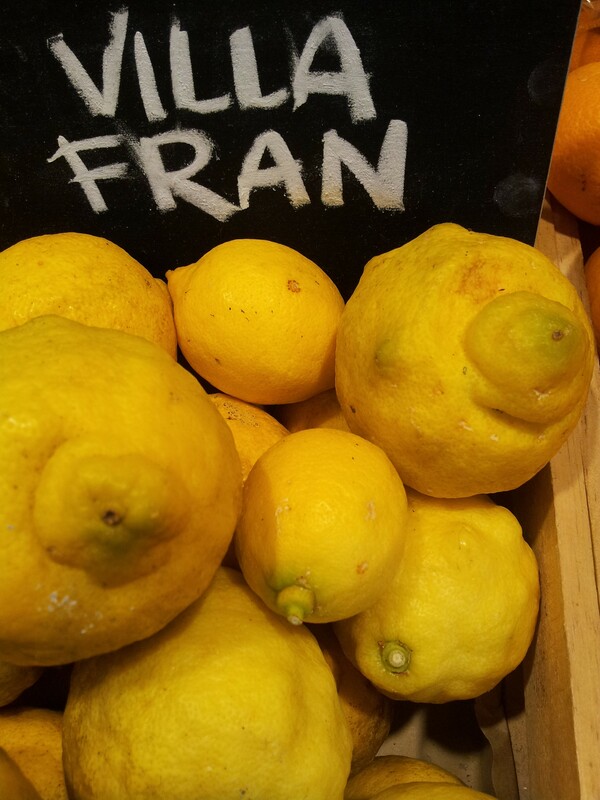 Villa Franca Citrus × limon 'Villafranca' is ideal for cooking and baking because it has an excellent flavour in the skin. It also produces fruit in the warmer months. Villa Franca is an Italian variety said to have originated from Sicily. Being a southerner and not grown as lemon trees in too many backyards, I didn't realise that quite a few lemon trees have thorns. Villa Franca apparently grows out of it's thorns as it ages. Yen Ben Citrus × limon 'Yen Ben' has been a popular lemon to grow in New Zealand since the 1970's. It's smooth and thin rind with very few seeds and high percentage of juice makes it easy to use and rewarding in the kitchen. Yen Ben is a winter-producing lemon, though produces multiple crops throughout the year with the majority of fruit harvested in winter. For successful growing and fruiting, plant in a large container or tub so it can enjoy maximum warmth and sunshine Protect from cold strong winds, and hard winter frosts. Abundant lemon tree in my niece Francie's garden. Always cut lemons rather than pull off the tree. This will ensure a small part of the stalk remains that will allow the picked lemon to last longer. If you are lucky enough to have a lemon tree in your garden, the best storage for your lemons is on the tree. Lemons don't ripen once they are picked and the fruit keeps much longer on the tree. Lemons will stay fresh at room temperature for about a week. Store them in the fridge if you don't plan to use them within the week. They'll keep for about four weeks in this cooler environment. Lemons are supposed to be easy to grow. I haven't found the ideal spot in my Dunedin garden as yet but armed with the advice below I will give it another go in the future. Growing in large pots is a good option for gardens with poorly drained soil or in areas where you can't protect it from cold ground. Lemons are gross feeders. Apply well-rotted chicken manure once every two to three years. In the intervening years, use compost or animal manure (horse, cow or sheep). Lemon tree roots are just below the surface of the soil so mulching is important to ensure the roots don't dry out. 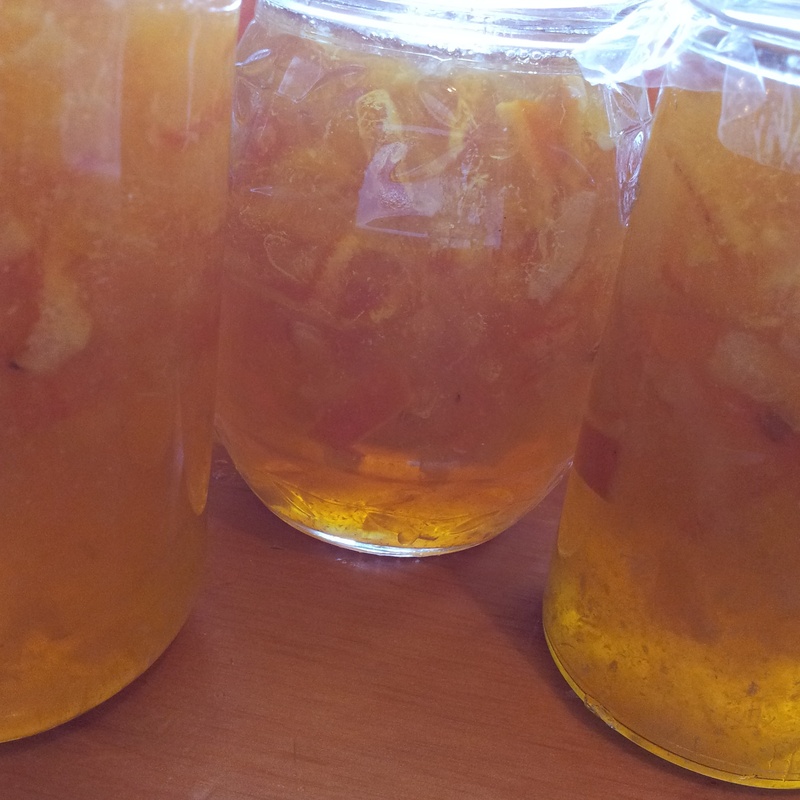 An excellent Marmalade made from Yen Ben lemons, Tangelos and one Kaffir Lime. 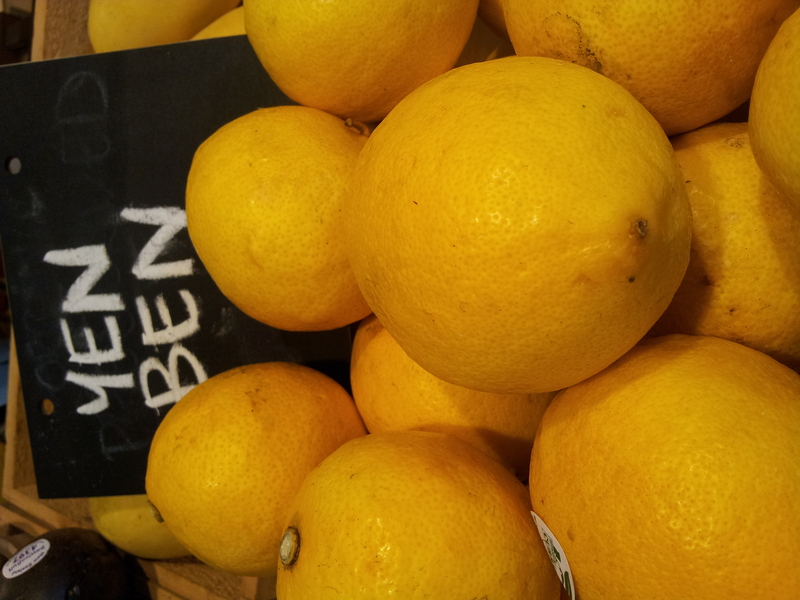 In my investigation into lemons I noted that Yen Ben lemons were ideal for marmalade. I tried them out making up to 750 gm (1.5 lbs) of pulp using 2 tangelos for colour and tart sweetness, and 1 kaffir lime. 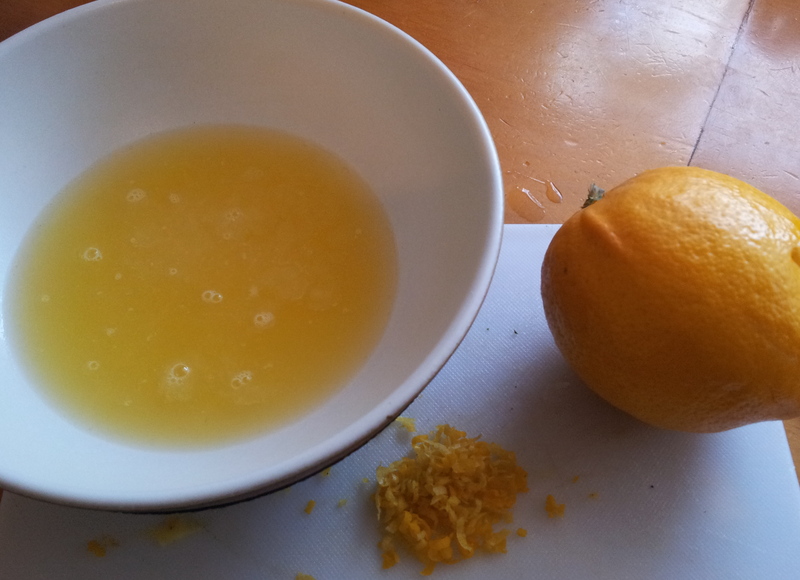 I used the same method as I do for my grapefruit marmalade ( see Marmalade...starring grapefruit posted in October 2012). It made five pots of great marmalade. 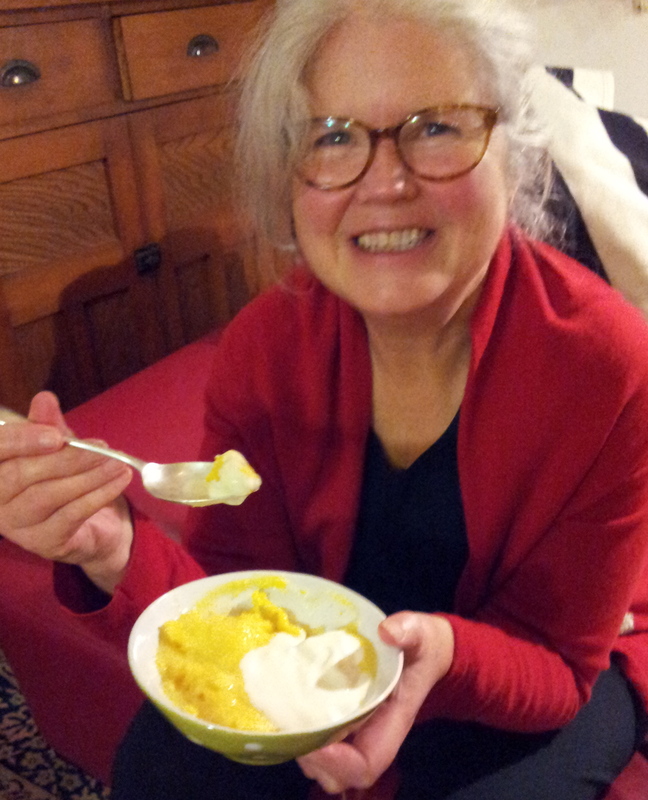 Enjoying a midwinter lemon pudding by the fire at my sister's place in Dunedin. Glad I packed those lemons. Lemon Delicious pudding may be simple but it can make a big impression because of its light texture and real lemon flavour. A few years ago I served it to my friend Andy, an excellent chef. He loved it so much that next time we met for dinner he requested the same 'put'. MY BLOG HAS MOVED TO Jeannieskitchen.me...PLEASE KEEP FOLLOWING ME THERE.